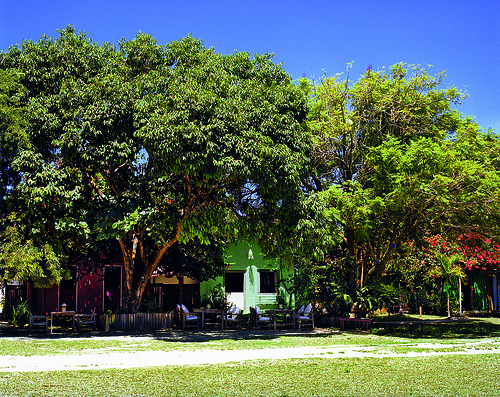 TYPE: Off-the-beaten-path boutique beach hotel. 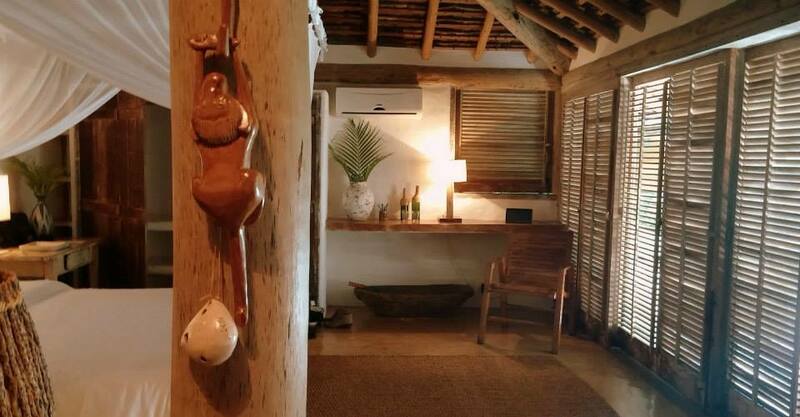 ROOMS: Ten casas in total, six of which are hidden throughout the lush tropical grounds, while the other four are restored fisherman houses located right on the 16th century colorful town square, Quadrado. 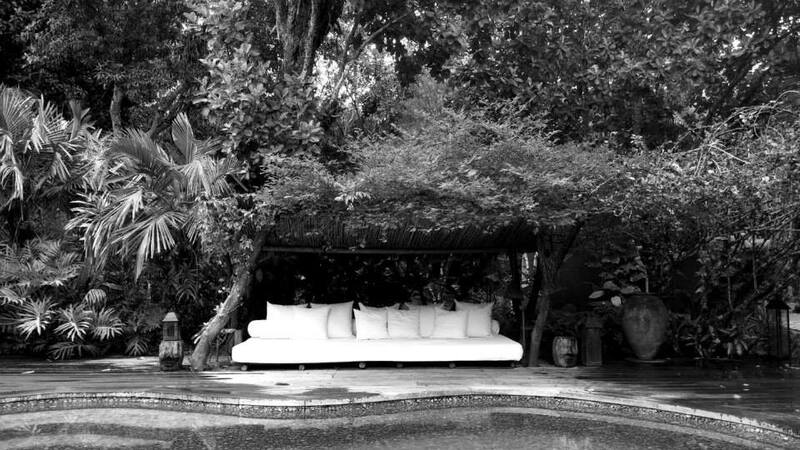 Rustic meets contemporary, indoors meets outdoors in each individually designed casa with unique decor details and every luxurious amenity one could ever want. RESTAURANT: Dynamic dining options include the poolside restaurant, or dining at one of the many rustic tables spilling out onto the Quadrado, though I preferred to dine ocean side at the beach lounge. Nine of the ten casas have kitchens so bringing in a private chef is a must-do and can easily be arranged by the concierge. Plenty of dining options scattered throughout the Quadrado as well. BAR: Well-stocked bars are within each casa, and there is a bar at the main poolside restaurant, plus a beach lounge crafted out of an old fishing boat. SPA: Partially open-air bathed in natural wood and white linens, my favorite being the treatment room with a cascading chandelier of decorative beads and seeds, plus a petite plunge pool. Massages, scrubs, facials are all signature therapies using organic indigenous products. Treatments can also be arranged in-casa. POOL/GYM: The swimming pool of healing aventurine crystals is situated front and center at the main restaurant. Several casas have their own plunge pool, and there is a full gym and yoga area where guests can partake in capoiera lessons, a traditional Bahian martial art inspired by African dance. KIDS: Children are certainly welcome, though this property is better suited for adults. 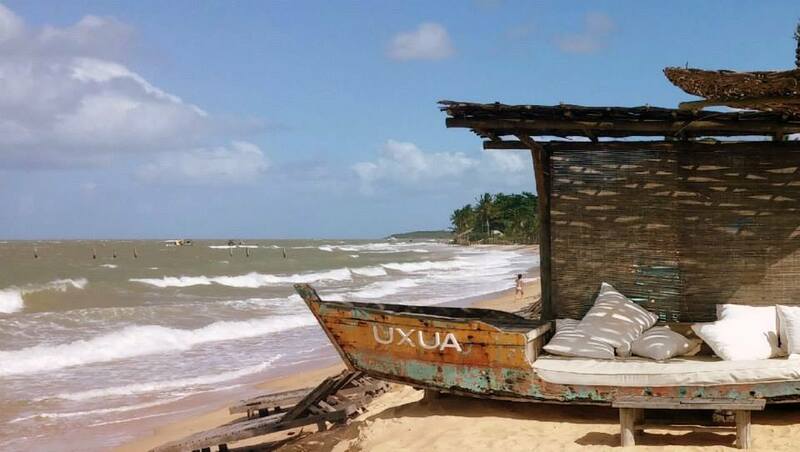 LOCATION: Trancoso, Brazil in southern Bahia, a 1.5 hour drive from the airport at Porto Seguro (BPS), which is in turn a two hour flight from São Paulo or Rio de Janeiro. The epitome of the secluded, raw Brazilian beach experience mainly popular with Brazilians. Touted in fashion and design magazines worldwide, UXUA still manages to stay under the radar. You get the feeling that it's only a matter of time before it becomes the new "it" spot, though you silently hope it stays your little secret. 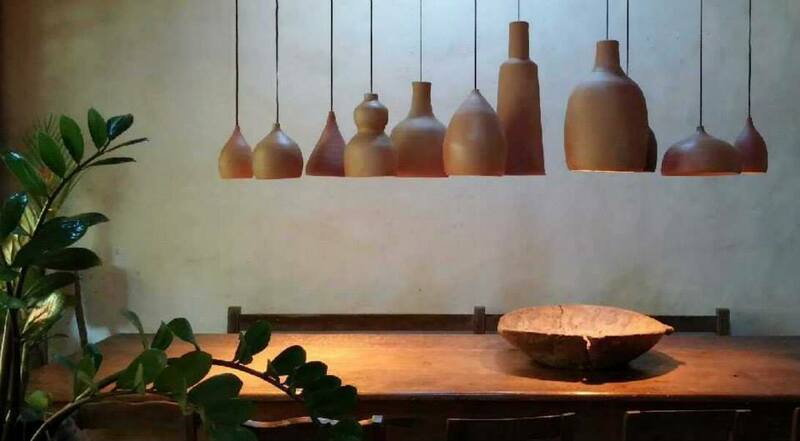 Incredible style, hospitality, cuisine: UXUA has it all. The resort is perfection for those looking for the antithesis of Brazil's more widely known beach towns. You come here for relaxation, to feel removed, and to dig into an area unchanged from its rich colonial tradition yet testing the waters of the modern.